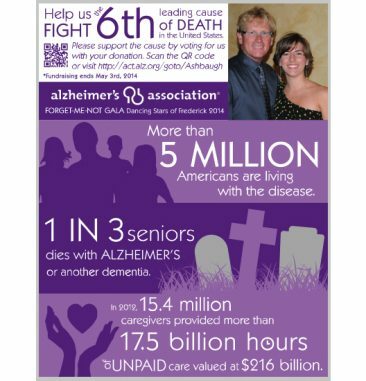 My dad and I participated in the 2014 Forget-Me-Not Gala for the Alzheimer’s Association. 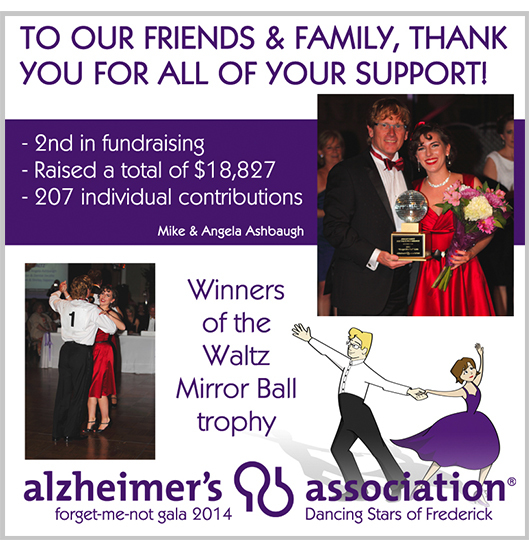 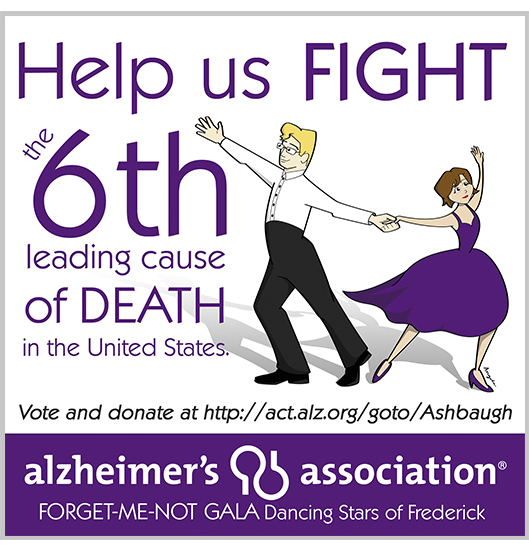 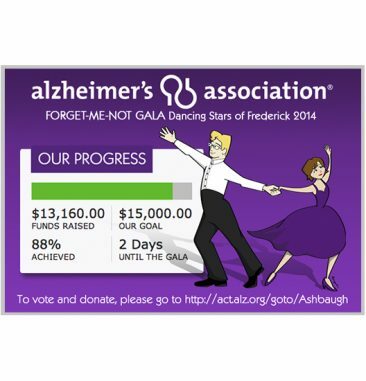 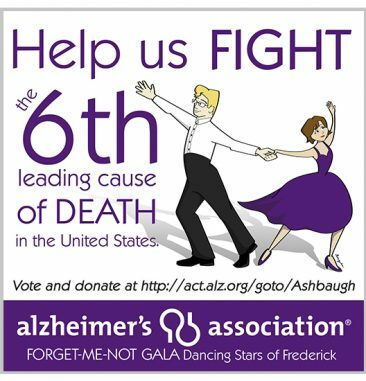 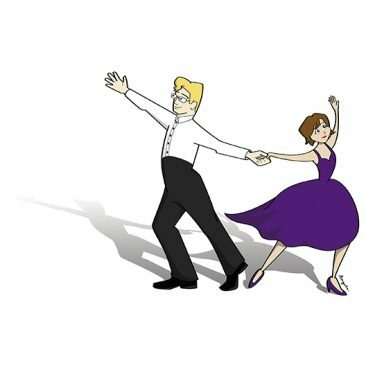 We spent weeks learning the waltz and raising money for the fight against Alzheimer’s. To personalize our fundraising campaign, I characterized my dad and I in a dancing illustration and built our materials around it. This campaign included print and social media materials to keep our friends and supporters posted and thank them for their support. As a result and thanks to all of our supporters generosity, we raised over $18,000 and came home with the Judge’s Choice Mirror Ball Trophy for the Waltz. It was a wonderful and humbling experience to hear how Alzheimer’s has affected so many people and I am proud to have taken part in the fight against this disease. 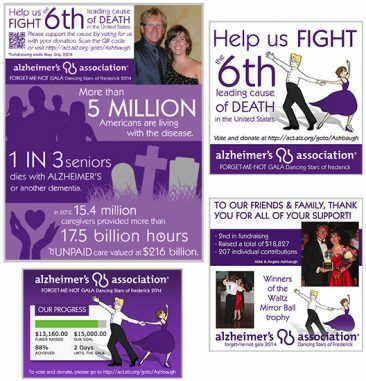 Our dance is available to watch in the video and the graphics below show the print and social media fundraising campaign.